Microsoft’s latest versions of Office have all come with a revolutionary new option: 365. With 365, you get all the same quality programs but with brand new features and a brand new paying scheme. While 365 is vastly superior to every previous version of Office, it can be hard to know which specific version is right for you. The best way to find out is to go to SoftwareKeep USA, where the benefits of each version are laid out clearly and expert advice is available before you purchase. However, if you are looking to get a quick overview now, learn more about Office 365 below so you can find the version that is perfect for you. There are many versions of Office 365, so choosing the right one can be challenging. At SoftwareKeep USA, we can make your decision a little easier by showing you some of the key differences. The easiest way to understand Office 365 is by comparing it to the most recent traditional version of Office: Office 2016. Office 2016 comes in all the varieties you would expect (Home & Student, Home & Business, Professional, etc. ), and it comes in the same sort of one-time purchase, single download (or hardcopy) versions. 365, on the other hand, is subscription and cloud-based. What that means is instead of a large, one-time payment, you pay either monthly or yearly. In exchange, you get the latest versions of every program in your suite as soon as it comes out. You also get all the programs in online form (and usually, but not always, in desktop form), one TB of cloud space, and usually, the ability to install Office on several devices instead of just one. There are a number of benefits to this, from the small payments to the ability to switch between suites depending on your needs. There are also a large variety of different suites to choose from. On the other hand, you also have to continue to make payments or else lose the ability to use your Office programs, which can be a financial burden. As we mentioned, there are lots of different Office 365 options, which can make choosing your suite a little more intimidating than when you normally buy Office. Before you begin to wade through your options, start by deciding which category your needs fall into: personal use or business use. If you need Office for personal or student use, you should look at the Home Use options below. If, on the other hand, you are looking for programs to help your business, consider the Business Use options below. Within business, there’s a further division, namely, between suites designed for an individual’s business needs, a small business’ needs, or a large business’ needs. Once you know which of those categories you fit into, it’s easier to decide the right program suite for you. To ease your difficulty, use summaries below to find the suite with all the programs you need. Keep in mind that the more programs and extras included, the more the monthly (or yearly) charge will be. If you are looking for online use of the major Office programs, then you are in luck. You can sign up now for free and get Word, Excel, PowerPoint, and others online. The catch is that you can’t save and use files on your computer. Everything is online, and you only get five GB for free, so the use is limited. The cheapest pay-option for Home use, Office 365 Personal offers you all the programs you have come to expect in an Office suite, and then some. You’ll get Word, Excel, PowerPoint, OneNote, Outlook, Publisher (if you are using a PC, not a Mac), and Access (again, only on PC). You also get OneDrive—Microsoft’s cloud system with one TB of free space, and Skype with 60 minutes per month for calls. However, on the downside, you can only install Personal on one device. That means this really is a “personal” subscription to Office 365, unlike the Home option below. Home offers everything that Personal does with one important difference: you can install Home on up to five different devices, and you can allow for up to five different users. That means all your devices and all the people in your home can use Office with just one subscription. You can have Office on your desktop computer, your laptop, your phone, and your tablet. You can also share it with your family. This stripped-down version of the business suite is for those who really need the business side of Office, and who are comfortable keeping everything online. You get open access to the major programs (Word, Excel, PowerPoint, etc.) online, but there are no desktop programs in this suite. Similarly, you get all the benefits of Outlook, as well as the one TB file storage with OneDrive. What makes Essentials so tempting for businesses, though, are the communication options. 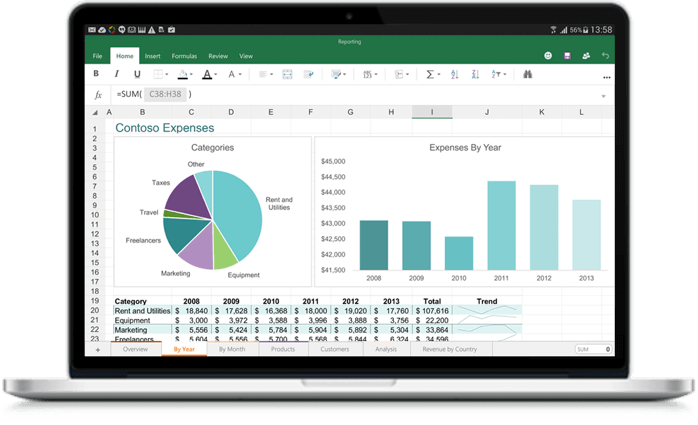 You get online conferencing, Skype for Business, Planner (which helps with keep your business organized), and Sway (which allows you to create online reports, newsletters, and presentations). This suite offers you the programs you expect (Word, Excel, PowerPoint, etc.) online and on your desktop. You get SharePoint and OneDrive with one TB of online space, and each user can install Office on up to five devices. There are, however, limitations. The first is that Outlook is not included. If getting a high-quality business email program is important to you, this isn’t the 365 suite for you. A second limitation is the number of users. For Business, you can have up to 300 users. That means it’s perfect for smaller businesses, but bigger businesses will have to look to the Enterprise suites. If you want everything that Essentials and Business have to offer, Premium gives it to you. You get all the basic programs online and on your desktop, as well as Outlook email, Skype for Business, and all the other useful communication tools. However, just like Business, you are limited to 300 users. This is the top-of-the-line suite for small businesses. The two major Enterprise options offer you everything you get in Premium, only on a grander scale. E3 is the less advanced of the two options. With it, you get the whole Office 365 Business Suite online and on every computer, Outlook for email, and all the social communication programs, including Skype for Business. You also get more advanced threat and identity protection. All in all, this is a great option for big businesses with standard big business needs. E5 is the biggest and best version of Office out there, designed to accommodate everything a business needs, no matter its size. You get everything in E3, plus a number of excellent additional features and protections. First, you get audio conferencing through Skype, and a complete Skype phone system. You also get all the advanced threat, identity, and information protections out there to make sure all your company’s data is secure. Finally, you get advanced business analytics through Microsoft’s BI program. This is the biggest—and most expensive—version of 365 out there, but it is worth it. You get absolutely everything. 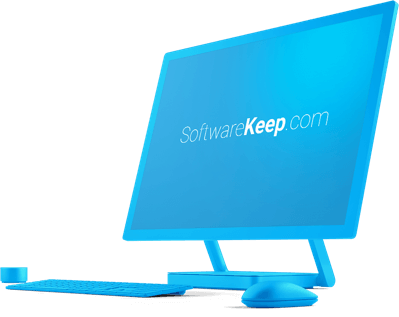 SoftwareKeep USA is a trusted software reseller and a Microsoft Certified Partner. We exist to make tech accessible by helping people like you choose the perfect product, get a great deal, and to install it easily. – so you can enjoy your software immediately. If you’re looking for genuine Microsoft software at the cheapest price – complete with 24/7 technical support and advice – you’re in the right place.